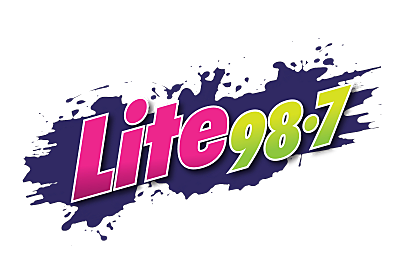 Spring is almost here, and Lite 98.7's LiteHouse Club has a bunch of prizes to get you primed for the warmer weather. Winter is just about through and we're excited about seeing the green grass, and hearing the birds chirp again. If you're ready for spring, we've got some prizes designed specifically for you. Before you know it, shorts and bathing season will be here, so there's no better time to get fit, detox, and juice up! Right now, inside the LiteHouse Club we've got an Omega Juicer. Have you seen this thing? it looks futuristic and new age, and it has the capability of turning your body into a lean, mean, fighting machine. If you're not a fan of imbibing crazy green beverages, don't worry, there are a plethora of fruits and vegetables that will turn your drink a pretty shade of pink or orange. You've been wanting to capture your scenic Old Forge hiking adventures on high quality video for quite some time and we've got the remedy for your dingy and blah looking videos. It's a Go-Pro starter bundle, and you can win it by signing up to the LiteHouse Club. The next time you're biking along the Erie Canal, you can capture the essence using a high quality camera that you'll love for a lifetime. The next time your hosting a BBQ at your house in Whitesboro or New Hartford, there's no need to hook up an elaborate sound system, or even an iPod/Blutetooth stereo. Simply turn on one of your music channels and crank up your television. Have you heard about ZVOX? It's a simple sound bar that adds a whole lot of BOOM to your TV's sound. We're giving a way a ton more prizes this spring, but you can't win unless you're a member. Sign up HERE.